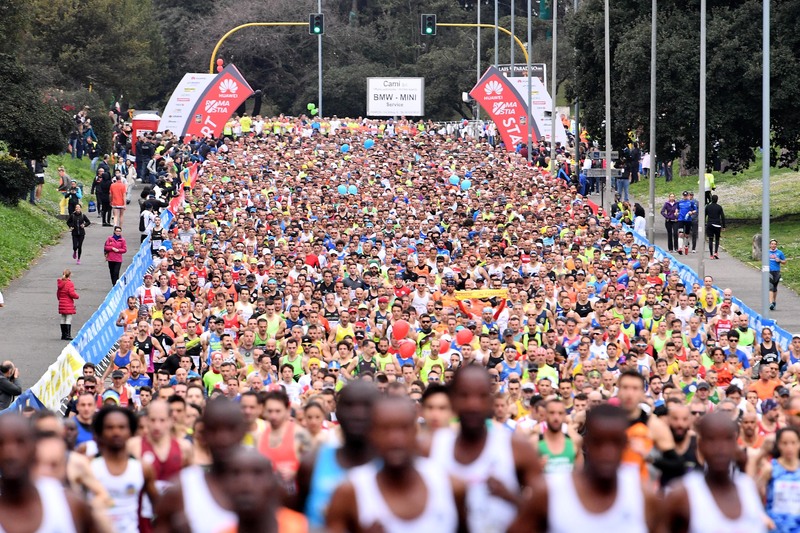 Italy's most popular half marathon, this road race is a popular event for runners. The Roma-Ostia Half Marathon is an annual half marathon road running event which takes place in late February in Rome, Italy. 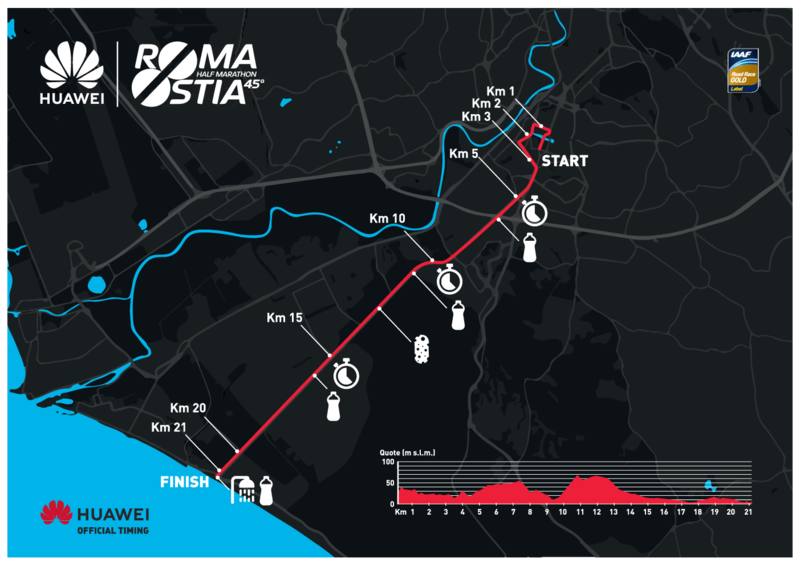 The course begins in the EUR district of the city and follows a direct south-easterly route to the finish point near the beaches of Ostia. This is one fast course! Kenyan runner Yego Solomon Kirwa ran 58:44, which is the fastest time in the last 12 months for the Half. Fast, Fast, Fast! 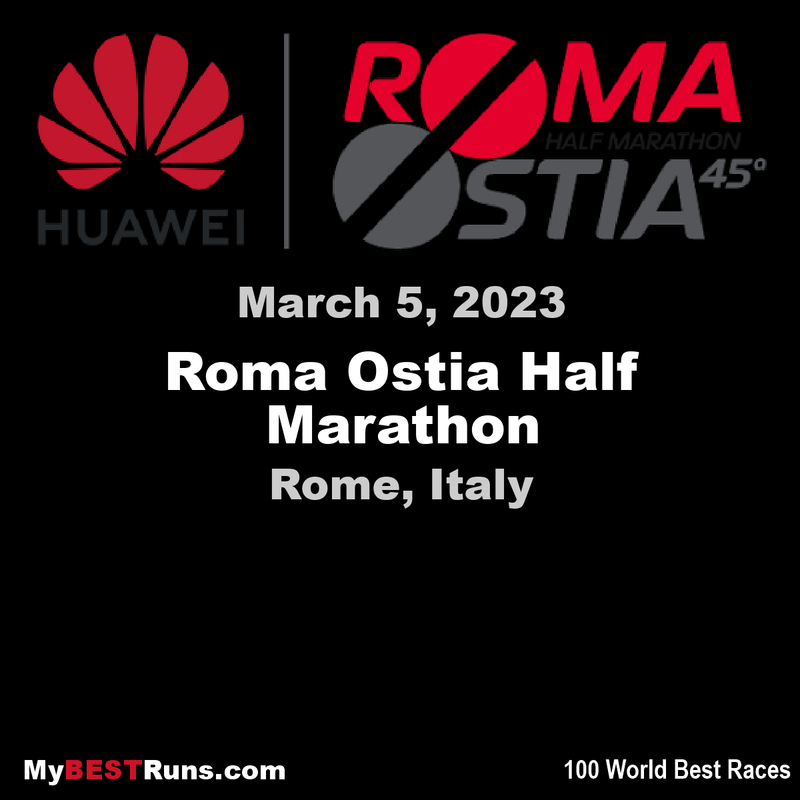 (2019 Race) Israel’s Lonah Chemtai Salpeter and Ethiopia’s Guye Adola lived up to expectation by winning theHuawei Roma-Ostia Half Marathon, an IAAF Gold Label road race, on Sunday (10). Salpeter clocked 1:06:40 to win the women’s race, beating Diana Kipyokei (1:07:13) and Antonina Kwambai (1:07:49). Guye Adola won the men’s race for the second time in his career in 1:00:17, holding off Kenya’s Geoffrey Yegon by six seconds. Cornelius Kangogo started as pacemaker but decided to finish the race and eventually placed third in 1:01:07 ahead of Justus Kangogo (1:01:22), Moses Kibet (1:02:10) and Emmanuel Kipsang (1:02:24). In the women’s race, Salpeter, Kipyokei, Kwambai, Muliye Dekeko and Perine Nenkampi reached 5km in 15:44 and 10km in 31:25, putting them on schedule for a finishing time just outside 1:06. Salpeter opened up a gap of five seconds over Kipyokei and Kwambai by 11km and stepped up the pace at 15km (47:14), pulling away from Kipyokei with Kwambai further behind. The European 10,000m champion maintained a regular 3:09/kilometres pace for the first 15km. Salpeter increased her pace in the closing stages and went on to win in 1:06:40, narrowly missing the course record of 1:06:38 set by Florence Kiplagat in 2012. Salpeter’s winning time is quicker than her PB of 1:07:55 but the course isn’t record eligible.